I've covered comedian Penn alum Ethan Fixell (C'04, Off the Beat) before as he and his friend Dave doubledated through North America. 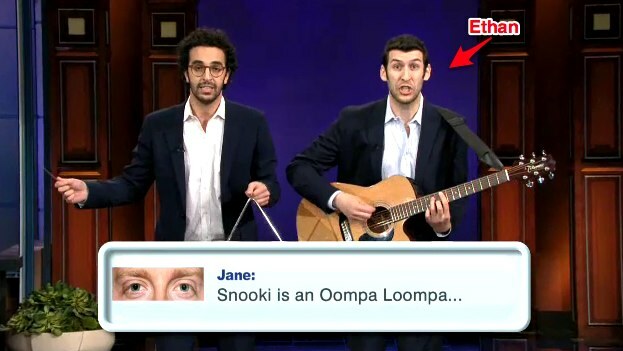 Now Ethan just got added to the list of Penn alumni who have appeared on the Jay Leno show. After the jump, watch Jay Leno's "favorite new comedy duo" perform a very funny musical number singing about people's facebook comments (minute 1:30) on the Jay Leno Show from this past Thursday.